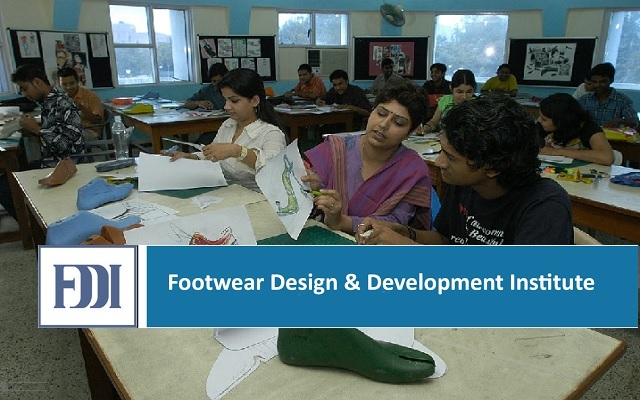 FDDI-Footwear Design & Development Institute Recruitment 2018-2019 Application Form for 06 Sr. Technologist/Technologist, Lab Analyst, Lab Attendant, Front Desk Executive, Office Attendant Posts Download Application through Official website www.fddiindia.com. last date for submission of applications is 30.12.2017. FDDI Recruitment 2018 Engineering Graduate Posts, Syllabus, Question Paper, Admit Date Release Date, Exam Date, Result Date etc. the stipulated criteria before Applying Now. Front Desk Executive - Graduate in any stream with sound knowledge of computer application with good communication ability. (iv) Caste and attested copies of relevant documents should be addressed to “The Dy. Manager (Admin &Pers) Footwear Design & Development Institute (Ministry of Commerce & Industry) A-10A, Sector-24, NOIDA-201301” by post so as to reach us by 30.12.2017.